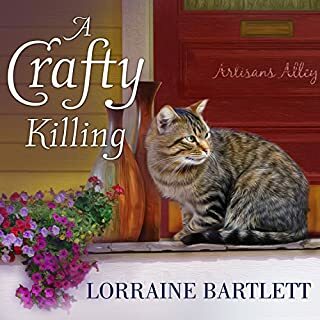 The death of a teenage Amish girl in a cornfield looks like an accident, but sheriff Serenity Adams suspects foul play. 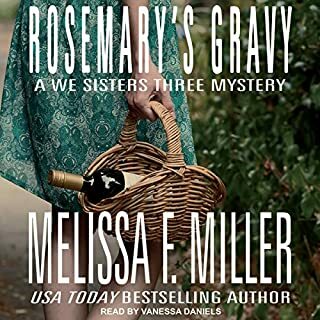 To solve the murder, she must investigate the nearby Amish community with the help of a man who was shunned years ago. At first glance, the case seems obvious. 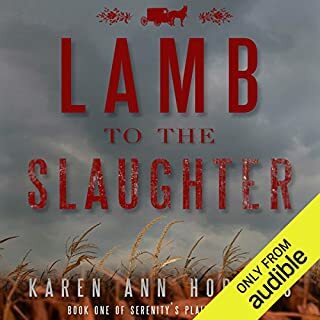 The poor girl was probably accidently shot during hunting season, but when the elders of the Amish community and even the girl's parents react with uncaring subdued behavior, Serenity becomes suspicious. Brutalized as a young girl by a vile sexual predator, Skye Cree is a survivor. Guided by the visions of her mystical spirit guide to the whereabouts of abducted girls, she uses her unique abilities to turn her horrifying past into a positive force for justice. Fighting the demons that have haunted her for years, she trusts only in herself - until she falls hard for a man for the first time in her life. Just not my cup of tea! On the slopes of Park City, Utah's newest ski resort, a woman is found dead. At first glance, it has all the makings of an accident. But what if she was murdered? Although skeptical, PI Sloane Monroe takes the case and learns not everyone is who they seem, and some will go to any lengths to protect their identity. Jason Wade struggles with his haunting past as he pursues the story of Karen Harding, a college student whose car was found abandoned on a lonely stretch of highway in the Pacific Northwest. How could this beloved young woman with the altruistic nature simply vanish? Wade battles mounting odds and cut-throat competition to unearth the truth behind Karen Harding's disturbing case. Her disappearance is a story he cannot give up, never realizing the toll it could exact from him. Before he slid into the MRI machine, Jake Bronson was just an ordinary guy with terminal cancer. But when an earthquake hits during the procedure, Jake staggers from the wreckage a profoundly changed man, now endowed with uncanny mental abilities. An ocean away, Luciano Battista wants a piece of Jake's talent. The terrorist leader has been conducting cerebral-implant experiments in a sinister quest to create a breed of super jihadist agents...and Jake's altered brain may be the key to his success. Jeff Resnick hardly knew his well-heeled half-brother. But after suffering a fractured skull in a vicious mugging, he reluctantly accepts the fact that he has a long and brutal recovery to face - and his closest of kin can provide him with the time and place to do it. Now, Jeff is haunted by unexplained visions of a heinous crime - a banker, stalked, killed, and eviscerated like a 10-point buck. When Matt Sumner's murder is discovered, a still-recovering Jeff realizes this was what he had seen. Jeff must not only convince himself of his new-found psychic ability, but also his skeptical brother, Richard Alpert. Since Sumner was Richard's banker, both brothers have a stake in finding out what happened. With Richard's reluctant help, Jeff's investigation leads him to Sumner's belligerent family and hard-nosed business associates, none of whom want him snooping around. When Jeff discovers a second victim, he knows he must relentlessly chase his quarry - even if it means risking his brother's life. Intriguing story. Kept my interest throughout. Steven Barnett's a very talented narrator. I highly recommend. If you could sum up Murder on the Mind in three words, what would they be? Have you listened to any of Steven Barnett’s other performances before? How does this one compare? I really enjoyed the audio. Steven Barnett really bring the characters to life and the relationship between Jeff and Richard. This story is well written with believable characters. I would and will be recommending it as it is an excellent story and wonderful narration. What was one of the most memorable moments of Murder on the Mind? One of the most memorable moments was when Jeff convinced his brother to go hunt for the dead man's viscera with him, knowing he couldn't shovel. Yes, I have listened to other Steven Barnett performances, and this is one of my favorite. I tried to listen to it in on sitting. Good first book in the series. 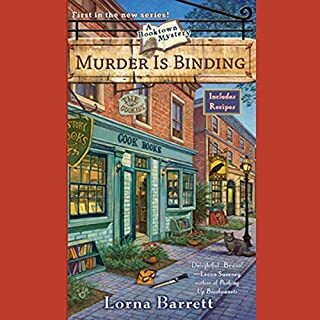 Where does Murder on the Mind rank among all the audiobooks you’ve listened to so far? As this is the only suspense audio I've read so far, I can't accurately compare it to any I've listened to in another genre as far as a story goes. Comparing quality, I'd say it was very professional. A few I've listened to were not done as well; story or narration. What about Steven Barnett’s performance did you like? He did a very good job of distinguishing the different characters. Outstanding in both content and performance! I will recommend this audiobook to everyone I know. It is one of the very best audiobooks I have ever listened, and I will listen to it again and again. The author hooked me on the story from the first chapter on. Her story really seemed possible, and the visions that Jeff had were scary and creepy. I think my favorite scene was when Jeff and Richard are going out to the place that the body parts are located, and Richard finally gets an inkling that Jeff might be shooting straight with him. There were several, and I loved all the characters in the book. Mainly, the scenes between Jeff and Richard, slowly getting to know each other after being apart for so many years. They were the type of scenes that anyone who has been estranged from a family member could feel just by listening. Steven Barnett is so very perfect for this series. I have had audiobooks where the reader just does an okay job, which doesn't make the story more real for the reader and listener. Steven is absolutely superb in his portrayals and I am so happy y'all found him for Ms. Barnett's books. I will be getting the rest of these books in the series. 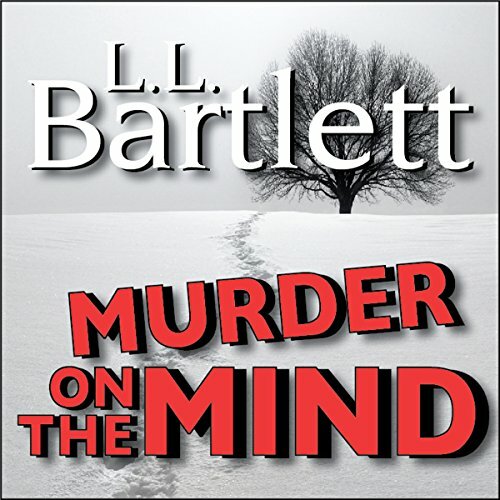 Would you consider the audio edition of Murder on the Mind to be better than the print version? I enjoyed listening to the narrator change from one Character to another. The story kept me interested and I am excited to start the next book. I love L.L. Bartlett & Steven Barnett! Yes! No only is the book an excellent first book in a great series, the narrator is phenomenal. I LOVE listening to Steven. When Jeff got badly beaten. His voice, it's just so good. I like the way he's able to make you feel like you're listening to a room full of people. When Jeff got badly beaten. I can't stand the thought of him getting beat, but it's what makes his character special. Poor Jeff! I immediately fell in love with Jeff because of all of his problems. Thankfully he has his brother to help him, and his psychic ability, which he puts to good use in knowing about some crimes. I think you will love Jeff, and Richard, too. Great Mystery with some Psychic Visions !! Great character development, leading to future books. Really enjoyed the main characters and look forward to reading more. 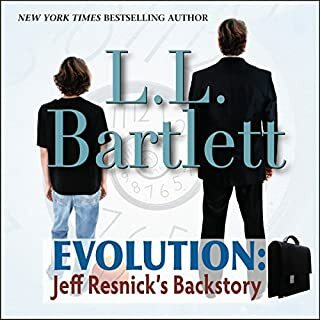 Jeff Resnick, an out of work insurance investigator, walks home from a pub in New York the night before starting a new job when he gets mugged and beaten very badly in L.L. Bartlett’s Murder on the Mind. Diagnosed with brain damage, Jeff finds himself moving to Buffalo with his older half-brother, Richard, a well-regarded medical researcher who has inherited over $50 million and taken an early retirement from his work in California. But soon he begins to notice changes in his emotional state and has recurring dreams that adjust in their perspective. After Jeff finally gets the courage to tell his brother about these dreams and other experiences that seem unusual, Richard’s longtime partner, Brenda, points out that these dreams resemble a murder from the day before that appears in the day’s newspaper. This leads to Jeff’s chasing after the murder of Matt Sumner, who was shot with an arrow, had his insides ripped out, and was moved to his own garage. Not allowing Jeff to drive, Richard ends up getting involved in the case too, though skeptically at first. But gradually Richard comes to question whether maybe there is something to Jeff’s claims, finally becoming a true believer when Jeff leads the pair to an open field where the insides are buried beneath a foot of snow. Jeff knows from almost the beginning who committed the murder, but it will take work to find any proof and convince the police. In the midst of all this, Jeff comes to bond with the much-older brother he hardly knows, and he even meets a woman with whom he goes out three times. The pair become truly a team, and Richard and Brenda are also able to begin to mend the relationship that has suffered ever since their move to Buffalo from California. This book is very well written. The details of Jeff’s development of his psychic abilities come across realistically, while Bartlett’s depictions of the characters portray them well. One detail in particular that impressed me is the depiction of Jeff’s extreme migraine pain related to his concussion injuries. The way the light serves as a weapon and the description of Jeff’s “hugging the porcelain god” sound exactly like what I myself experience regularly with my migraines, and the terminology used to describe the experience is commonly used by those in the migraine support community. I really commend Bartlett for her excellent portrayals of migraines. Steven Barnett does a fantastic job of narrating this book. He makes the book enjoyable to listen to and creates believable voices and depictions of the narration. His performance was truly excellent. I came to Murder on the Mind with fairly low expectations, selecting it because I have really enjoyed the other books by L.L. Bartlett, who also publishes under the names of Lorraine Bartlett and Lorna Barrett. 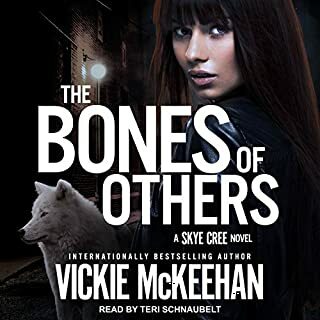 I knew that the book is harder core than her other two series available on audio, which are cozy mysteries, but I hadn’t realized that it was about a man with psychic abilities, a feature I usually most emphatically do not enjoy. However, I got deeply drawn into this book and couldn’t stop it. I give this book four stars!